We’re partnering with The Emerging Writers’ Festival for #DWF17! 11 days of live-streamed events, professional development and interactive projects available to everyone with an internet connection. Oct 24-Nov 3, streaming everywhere 🔊 Find the full Digital Writers’ Festival program here. 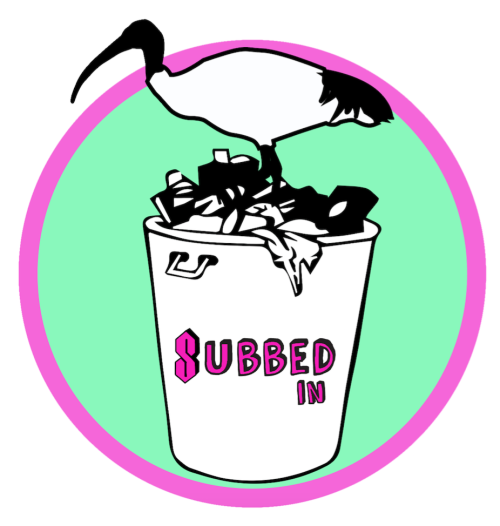 subbed in is a DIY literary organisation, which programs readings, workshops and associated publications staged around Sydney, Australia. We aim to provide grassroots support for new and underrepresented voices as well as helping emerging writers to achieve publication or performance.